Well hello to you my reader chums! 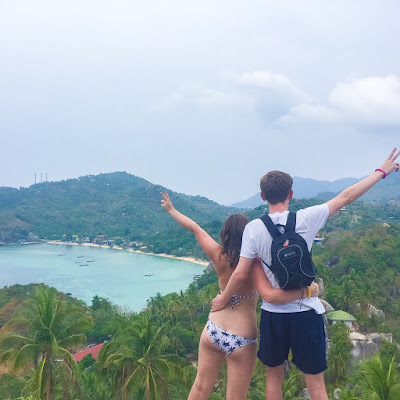 It's been a while again I know so apologies for the lack of blogging! 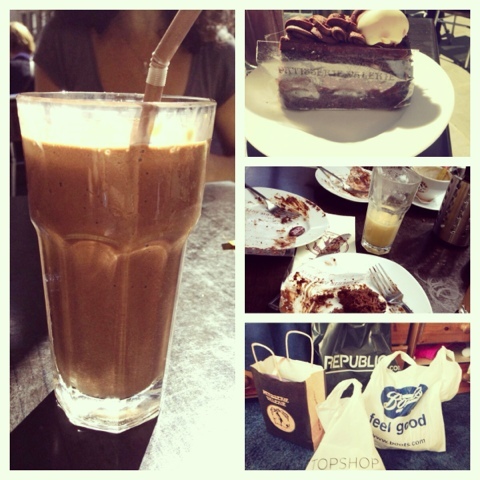 I've been very busy spending time with family, having lots of days out and it's been really fun! A blog will be up on that soon! For my UK readers, you'll probably know that on Thursday was A level results day,ahhhh nervous times! 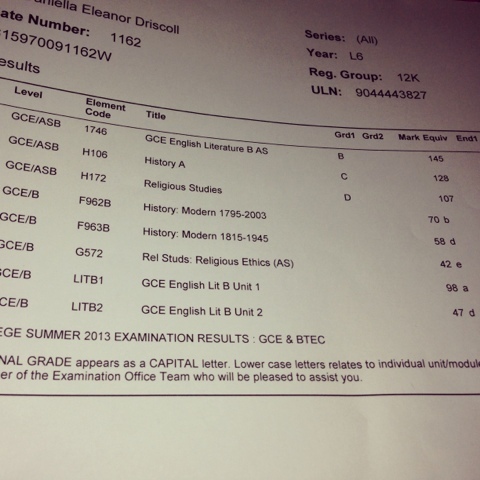 However I was extremely shocked and happy with my results! I received a B in my English well an A in the actual exam but my coursework grade brought me down.. However I was over the moon about it! In history I got a C and in philosophy a D meaning no fails, yay! 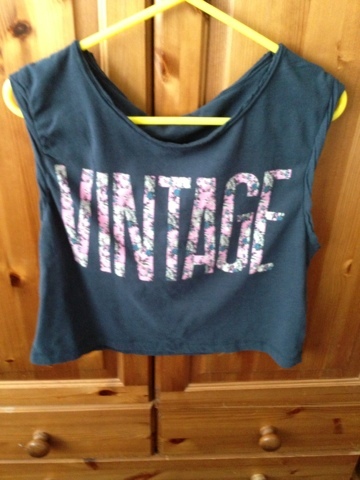 The first thing was a navy crop top with the words vintage written in floral from republic. 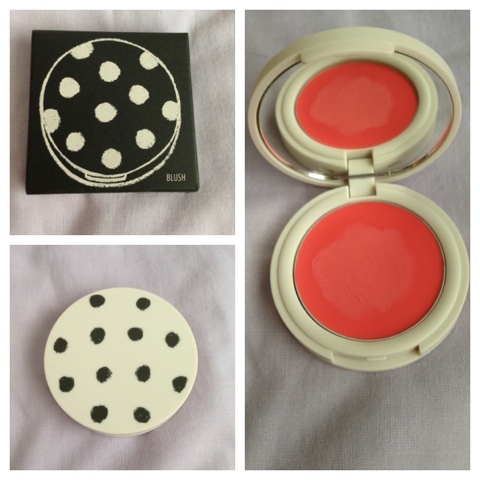 It was £12 and I fell in love with it as soon as I saw it because its just super cute! 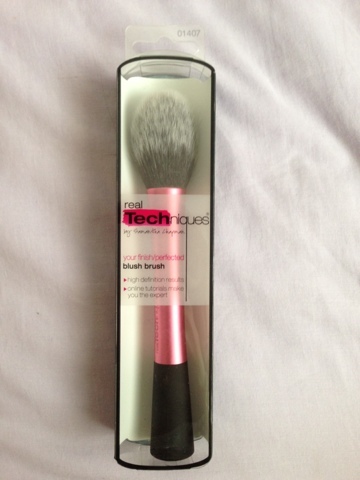 The last thing from this shopping trip was the blush brush from real techniques which I've also wanted for ages! It's such a soft brush! I went shopping yesterday to our local town because my sister wanted to buy this bag but I ended up with a couple of things..
Another collared top for the collection, I'm literally obsessed! 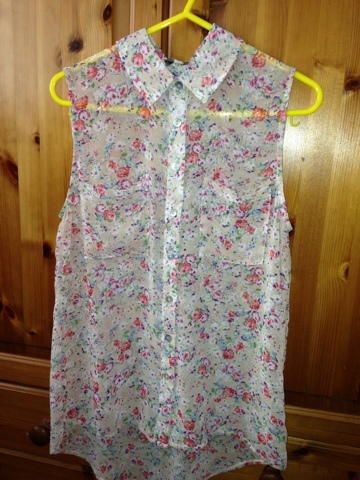 This one was from new look in the sale for £9, what a bargain, I absolutely love it! 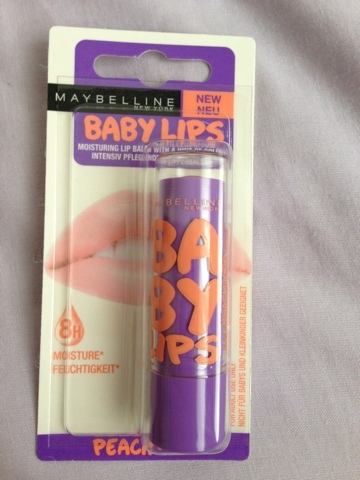 I also picked up some baby lips because they have finally arrived in the uk! I got the flavour peach kiss, purely because it was purple haha! The last make up item I got when I was out with my friend the other week was a waterproof eye liner as I was in need of one! 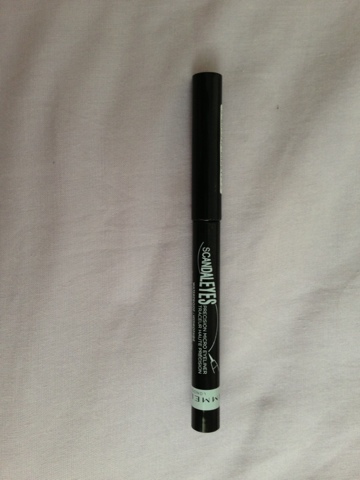 I got the scandal eyes micro fine liner in waterproof by Rimmel because I've never seen it before so I wanted to test it out! 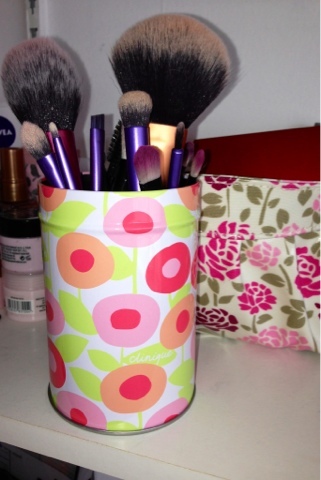 The final item is this Clinique floral tin that I got off eBay as I needed something to store my brushes in! I thought it was really cute because I love floraly things! well done on your results!